As you develop a plan for a successful introduction, two factors should always be top of mind: immediate safety and the long-term relationship. Safety for all involved is critical. If the introduction goes poorly and one of the animals becomes aggressive or scared, the pet could bite or scratch the other animal or the people involved. Therefore, it’s important that you are fully engaged the entire time—not on your phone or snapping pics. It can also be beneficial to enlist the help of at least one other adult. And only introduce one pet to the new dog at a time and don’t mix species: Introduce to dogs and cats separately. As the saying goes, you only have one chance to make a first impression. 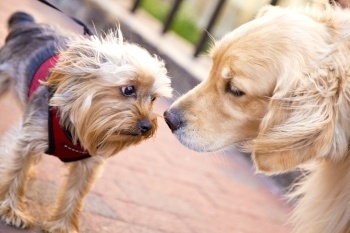 While, yes, introductions are a process, a successful first encounter will help the animals build a healthier relationship with fewer challenges for you to overcome. You are aiming to avoid problems such as your pets feeling threatened, “cheated on” or stressed, or the new dog feeling or being bullied. Red: The animals are responding poorly, possibly showing aggression or fear. Stop the encounter, regroup and consider changing tactics before restarting the introduction. Yellow: You have some concerns with how the animals are reacting. Tread cautiously. Perhaps take a break and try the same step later. Green: The animals have succeeded with this step and your goals. Move on to the next step. How big are your animals and what is the size difference between them? This will help you consider any safety or control challenges. What is the history of each animal’s interactions with others? 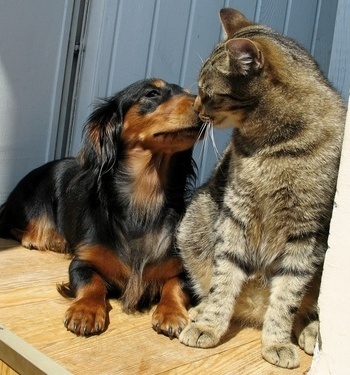 For example, do you have a cat that has been around dogs before or a senior cat that likes to be alone? Did your new dog come with any information about whether they are laidback vs. aggressive or easily excitable? What are the animals’ energy levels? Would it help to tire out the pets before the introduction? Or, is exercise likely to ramp up an otherwise calm, peaceful animal? What is the overall temperament of each animal? Consider whether your pets are passive, active, assertive, competitive, fearful, timid or anxious, for example. How old are your pets? Introducing two puppies to each other is typically an easy, quick process, while introducing an adolescent dog to a senior cat can be more challenging, depending on the animals’ personalities. Take time to consider each of these questions—instead of focusing solely on the desired outcome of having two immediate best buddies. It is also helpful to have a basic knowledge of body language. 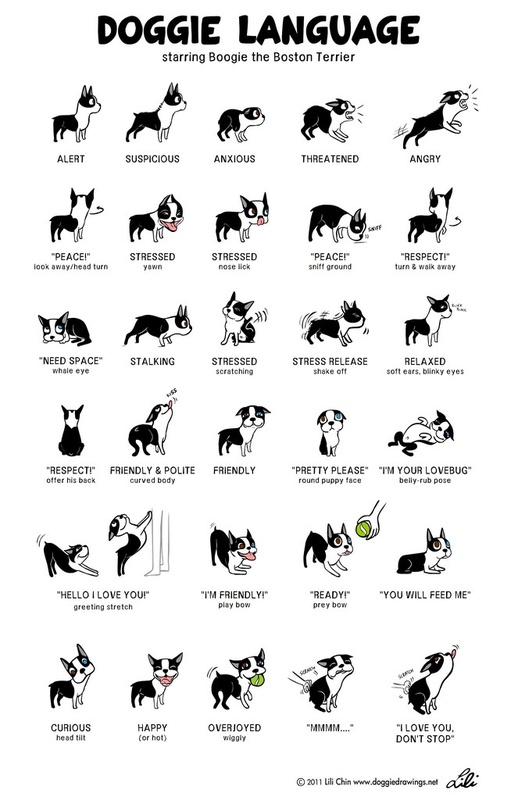 You can review this great Doggie Language poster by Lily Chin for guidance. Using treats, praise and playtime as rewards can be helpful, particularly for nervous animals. However, be aware that these are valued resources for the animals and can lead to competition in dog-to-dog introductions. In addition, playtime can sometimes increase a dog’s excitement, which can increase a cat’s nervousness. So, consider positive rewards carefully based on how your pets tend to respond. Pheromone options for dogs and cats are non-aerosol sprays that last a few hours and work immediately and plug-in diffusers that can be useful in a small interior space. There are also body-heat activated collars for dogs that last about four weeks and can be helpful particularly if both dogs are being introduced while on a walk. For cats, another option is moist wipes that you can rub on surfaces in your house. Aside from the collars for dogs, these products should never be applied directly to your pets. 3. Tire out your pets beforehand. Take your new dog and resident dog out for a long walk or romp in the yard separate from the other animals so you can wear them out a bit before the introduction. You can also have a play session with your resident cat so it can blow off some energy. For dog-dog introductions, I typically recommend a walk in neutral territory, unless one of the dogs has trouble walking on a leash or is more likely to react negatively to another dog when on leash (“leash reactive”) than when interacting without leash restraint. A walk allows you to control the situation better: You can control the dogs’ distance from each other, allow them to sniff each other for a few seconds, then distract or call them back apart. Continue on the walk, and then about a block later, allow them to sniff one another again for a few more seconds. Continue this pattern over a 15-20–minute walk. Use a fixed leash, not a retractable leash, which can be dangerous to both dogs and people. This method is often a more effective stepping stone than allowing the dogs to get to know each other in a fenced-in yard, which can lead to a high-arousal and rough, competitive play session. After the walk, when you take the dogs back to your house, consider keeping them separate for a time so they can have their own free time in a portion of the house. It helps if one of the dogs is crate- or confinement-trained, but you can also take them on separate walks or let them play in your fenced yard one at a time. Then, after a break, go on another joint walk to let them sniff each other while under your control. If all goes well, this process of structured walks may only need to be repeated a few times, and you can let the dogs be in the same space while supervised in an enclosed yard or perhaps in the house. Throughout this process, don’t leave your resident dog’s toys around as this may lead to one or both dogs becoming possessive or aggressive. Keep an eye on this even after the initial introduction. If either dog is leash reactive, consider introducing them in a neutral enclosed area, like a neighbor’s yard or an empty tennis court. However, introducing leash-reactive dogs to one another can be challenging, and you may want to consider seeking help from a certified dog trainer. When you are introducing a new dog to your resident cat, oftentimes it’s best to introduce the dog—always on a fixed leash, not a retractable leash, and in your control—to the cat for just a few minutes. Then place the animals in separate areas to reduce any stress. This will allow the cat to relax and smell where the dog has been, and the dog can explore other areas of the house. Repeat this process several times throughout the day. Keep meetings short and don’t leave your pets unsupervised. 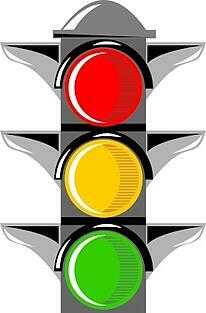 Be in the moment and watch closely for red or yellow stoplight warnings, as discussed above. This stepped process will establish a relationship history of multiple interactions in a short period, rather than a long extended meet-and-greet. Before the introduction, trim your cat’s nails to protect both you and your new dog. Ideally, trim the nails a day or two in advance to allow the rough edges to smooth out. However, if you haven’t done that ahead of time, it’s still a good idea to do it before you bring in the dog. Make sure you give your cat an easy escape route to get to a safe area that your dog can’t get to. Keep a clean litter box, water and food there in case the cat decides to hide out for a few days. It’s up to you whether you decide to hold your cat during the introduction while someone else controls the dog on a leash. You know your cat best and how they might react. You may want to hold your cat if the new dog is rambunctious or an eager puppy. Just don’t hold your cat too tight and pay attention to their stress level. If your new dog is calmer, you may want to allow your cat to explore on their own. You can get down on the floor with your cat, who can take refuge on your lap or rub up against you. The goal any time you introduce your current pets to your new dog is to establish a long, healthy relationship. This doesn’t necessarily happen in the first meeting. It’s important to take the time to consider your pets’ characteristics and map out a step-by-step structured plan—avoiding the chaos of a free-for-all. This "stepping stone approach" gives all of your pets several opportunities along the way to show you anything you should be concerned about, and sets them on a clear path for successful (and respectful) long-term relationships. What have your experiences been with introducing a new dog into your home? What's worked for you? What hasn't? Share your new dog introduction stories and tips in the comments section below.